Come Celebrate Fall this week in Paoli! Wed is Take Your Growler to work day. Growler fill specials and Case specials of Nuggetopia and Paoli Gold! Thur is Blues and BBQ night along with Justin’s Farmers Market. We are selling Garlic grown on our farm. 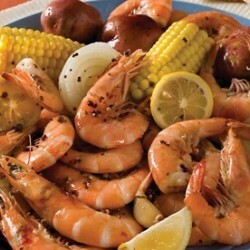 Friday night we will have our Louisiana Shrimp Boil! Includes butter biscuits and salad bar for $17 Comes with Live music as well! We will have inside seating as well as tent seating outside. The live music continues on Sat with Clear Rocky Bottom from 1-4pm. Then Sunday is Paoli Fall Fest! We will be tapping Harvest Moon Ale at 11am! Made with Sweet Pie Pumpkins from our Farm. Chili Cookoff and Live Music all Day!